As a parent, there is nothing more frustrating than asking your child, "How was your day?" and getting the response, "Fine/Good/OK/Fun." "What did you see today?" "What did you hear today?" Brilliant! Perfect! My child is in kinder, I soooo need this! That worked up until about 2nd grade. Then, I got "Mooooom!" Question...What did I want as a parent? If only I knew what to say to my daughter to jump start the conversation, which I did, sort of, through newsletters, but kinda didn't. And, I'm and educator! Newsletters didn't really help me start an engaging conversation with my daughter and my daughter is a talker. I just didn't know how to ask the right questions! A huge long multi-paragraph newsletter doesn't work for me. I'll skim reader it. 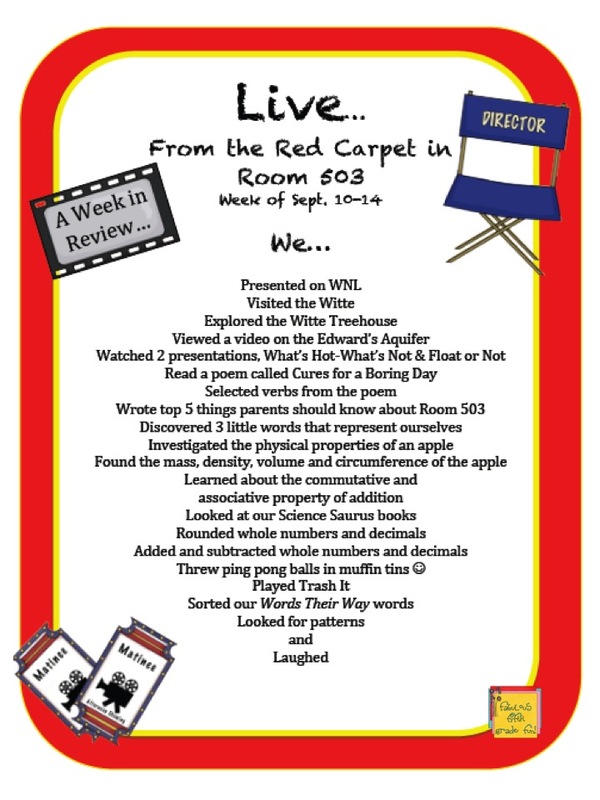 Introducing...Our Week in Review-Quick Phrases! Instead of a newsletter! This was our very first week of school. My objective was to create short phrases that highlighted things done during our week. They were starting points for parents. A way for parents to start a conversation or a way to ask questions. "What 2 truths and a Whooper did you share?" "Wow, metacognition is a big word! What does it mean?" I tried to include every subject area and event. That week, we ran our news center and went on a field trip. I'd like to say I was consistent in doing this, but shamefully, I was not. Huge regret, due to the parent response. 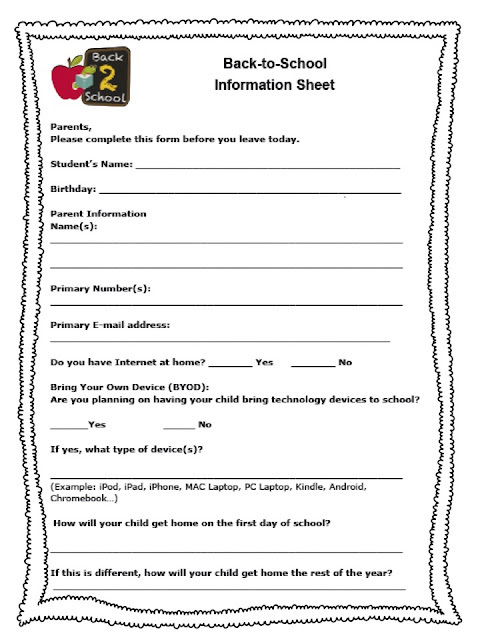 During "Meet the Teacher" while students are roaming around the room, I have parents fill out this form. It's a bit of quick information before the first day of school! Click on the graphic if you would like a copy. Sorry, it doesn't have the cute border in Google Docs. 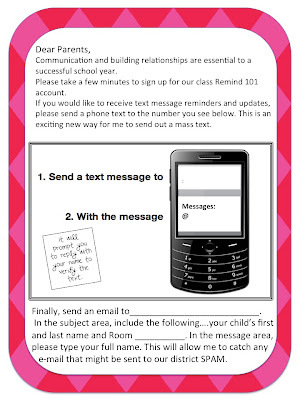 Building relationships continues with Remind 101. I highly recommend! It's FREE!!! Another huge parent communication resource! 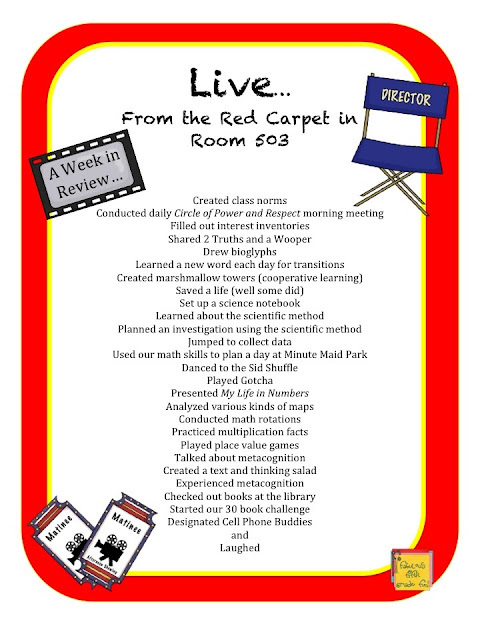 This was also went home during "Meet the Teacher" so parents could set up the quick communication tool. "Ask your child about..." or "We got a compliment from the sub/another teacher today!" The weekend before school, I sent a "Looking forward to a great year!" text to all that had completed the information. Click on the Remind 101 letter if you would like a copy. You will have to hand write in the information. 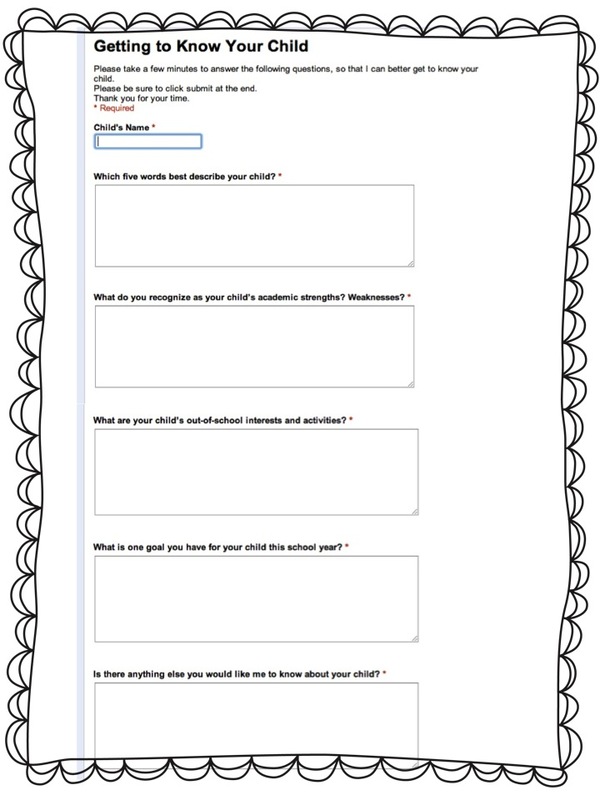 Finally, I send parents a link to a Google Form. Parents that don't have Internet, get a hard copy! I LOVE Google Forms! Side note: Did you know you can now add graphics to Google Forms?!!! Once I have all the information, I download the spreadsheet and add it to my "Student Info" binder. I hope you find these things useful for building relationships with parents. Would love to hear some of the things that you do to build relationships with parents at the beginning of the year. Wow! You sound super prepared. :) Great post. I've been guilty of the long newsletter. I want to make sure parents are informed, but I like the format of your newsletter better. I can definitely see the benefit for parent/child communication using this method. I'm #1 at the long newsletter! I too, wanted to make sure parents were informed! I just started noticing that I was totally skim reading the newsletters from my daughter's teachers and I work with them! I was feeling guilty b/c I know how much time goes into them!!!! Wow! Your letter for Remind 101 is going to be a lifesaver! I'd already decided to use the program, but hadn't even thought about how I'd get the word out to my parents! 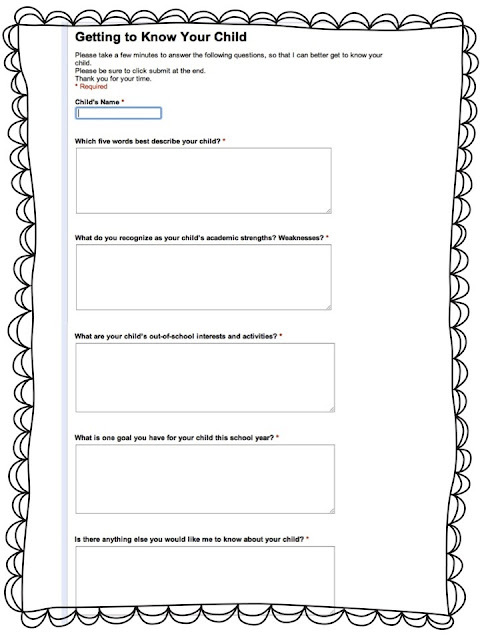 I also really like the idea of using google forms to allow parents to communicate! Thanks for the idea.